For the first time on mobile: the classic gameplay of solitaire combined with the excitement of horse racing! With gameplay that is one card up or down, Solitaire Dash is super fun and very easy to play. Unique card layouts, special bonus cards, and streak rewards deliver a level of excitement that you won’t find in other solitaire games! Compete in levels across a number of different tracks, as you use your solitaire skills to join the Winner’s Circle! Each level layout is unique - use strategy in deciding your next move. And, to help you out, we’ve introduced special horseshoes that play like numbered and wild cards. With 414 levels across 23 beautiful, hand-painted tracks, Solitaire Dash is a must-download for both seasoned solitaire players and newcomers alike. • Win, place, or show within each level! • 23 beautiful, hand painted tracks (more coming soon). • 414 unique levels, each with a different layout. • Find bonus cards with awesome rewards! • Special golden horseshoes act like wild cards. • Special silver horseshoes act like numbered cards. • Streaks award coin bonuses! • Earn achievements as you ride to victory! • Challenge mode to win Trophies and unlock Bonus Tracks! • Bonus Track feature with 2 Bonus Tracks! • Play for FREE. No purchase necessary. • Sync progress across all devices. • Awesome track sponsorship rewards! • NEW: daily login rewards! Time to hit the track! Get 6000 Coins on the house when you install! With our Jockey Club subscription, you will enjoy Daily and Weekly rewards as well as an ad-free experience. Daily rewards include Coins. Weekly rewards include Golden Horseshoes, Rewinds, Plus 5s, and Sprints. You can choose from three subscription options: Weekly, Monthly, or Yearly. All three subscriptions offer the same benefits, but renew after the chosen time period. You will not be charged during your free trial period. When the free trial concludes, your subscription will start automatically, and you will be charged to your iTunes Account. Monthly and Yearly subscriptions will be charged to your iTunes account at confirmation of purchase. Subscription automatically renews for the same price and duration period as the original package, unless auto-renew is turned off at least 24-hours before the end of the current period. Account will be charged for renewal within 24-hours prior to the end of the current period. You can manage your subscriptions and turn off auto-renewal within your iTunes Account Settings anytime after purchase. Any unused portion of a free trial period will be forfeited when you purchase a subscription. 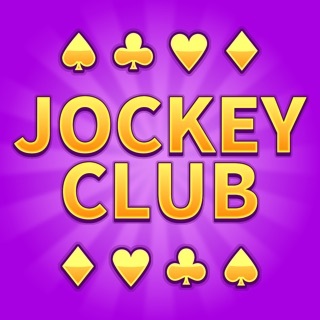 - Join the Jockey Club! - 2 New Tracks with 36 New Levels! - Various Bug Fixes and Optimizations. How do you ever get to the bonus round? I have completed many many rounds with a trophy. . I'm on level 82 I believe but it keeps saying "complete challenges to win trophies" to play the bonus round. Secondly, I've purchased coins several times to continue playing, I hit play, it subtracts the coins. I hit the view for a few horseshoe the screen goes blank and the games restarts so I lose my coins! Can someone advise please? I'm very unhappy at he moment. Liked this game a lot at first but it seems impossible to win without the horseshoes being replenished after each round which makes a round cost a lot with little rewards to show if you win. Also have no idea what the bonus round is because I can’t seem to play it. Disappointed cause it was a lot of fun but just can’t see myself playing this game much longer if I have to spend a lot of my own money. Thank you for your suggestion! We will continue to make the game better.